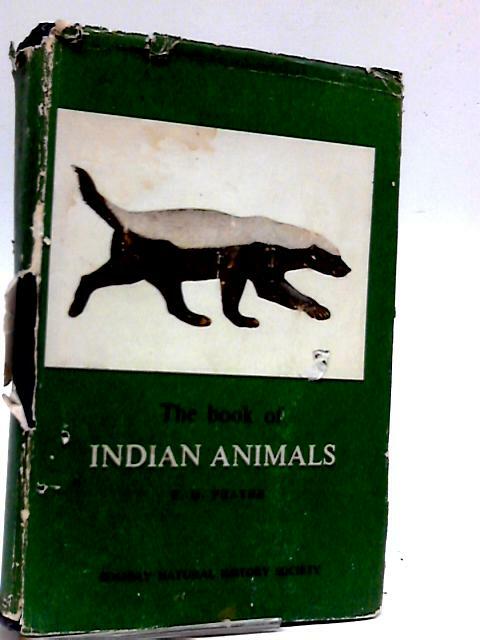 The Book of Indian Animals by Prater, S.H. 1971. 324 pages. Green pictorial dust jacket covering black boards with gilt to spine. Binding is firm with no loose pages, Colourful illustrations throughout. MIld tanning and thumb marking, some dog-eared corners. Boards have noticeable shelf wear with heavy rubbing and corner bumping. Some moderate marking and sunning. Dust jacket has heavy edge wear with moderate tears and chipping. Heavy rubbing and marking.